In the last 24 hours I’ve received welcome news. Two of my stories have been accepted for publication later in the year. The first is called Somewhere On Sebastian Street, and is inspired by the work of my friend and fellow writer, Gary McMahon. It is due to appear in a charity anthology called HORROR FOR GOOD, and will be published in March by Cutting Block Press. The book will also contain stories by such writers as Ramsey Campbell, Joe Lansdale, F Paul Wilson, Laird Barron, Gary McMahon, Lisa Morton, and loads of others. More info as I get it. 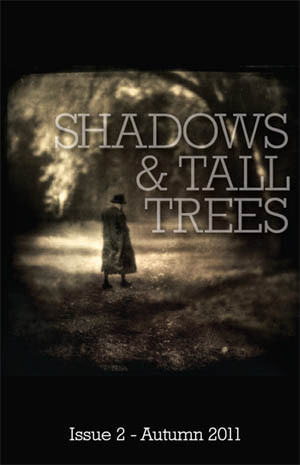 The second acceptance is for a short story called None So Blind, will which appear in either issue 3 or 4 of Shadows & Tall Trees, the Canadian literary horror journal published by Michael Kelly. The previous editions have included some of my favourite writers, so I’m highly thrilled to be gracing its pages myself. Again, my info as I receive it.